BeeVac.com | less stress, more live bees! Less stress on bees and beekeeper than any other bee vac! Not happy with the functioning of the standard box in a box design bee vac? Frustrated with getting the bees back out of the screened inner box? Tired of having to change or empty cages in the middle of a removal? Disappointed loosing bees to overheating? Wouldn’t it be great to merge cut-out brood and queen back with colony right on site? Then stop stressing yourself out with other bee vacs, get a Bushkill Bee Vac Today! Endorsed by the Wildlife Pro Network and used by nuisance wildlife professionals more than any other bee vac. Designed by beekeeper for beekeepers. Years of experience and enhancements. 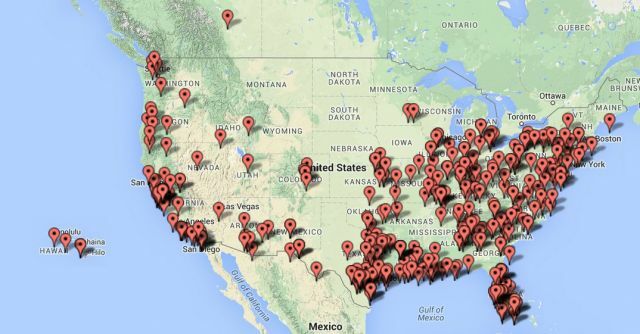 Hundreds in use all across the US. New satisfied users every day! 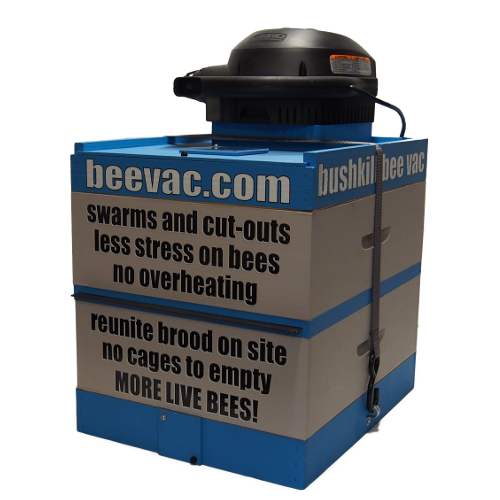 * Bushkill bee vac price is for base unit and assumes you have a wet/dry shop vac and hive bodies. If you need to purchase a vacuum to use, figure adding an additional $50 – $100 depending on which vacuum you buy. Due to a recent death in our family we have ceased manufacturing of bee vacs and swarm traps. When/If we will resume is unknown at this time. Sorry for any inconvenience this may cause.